Describes how Circle Time is an effective way of teaching Social and Emotional Learning (SEL) and Character Education, as well as being a method that promotes safety, inclusiveness, fun, team work and deep thinking. The book explains - What is Circle Time? Role of the Facilitator, How do you do Circle Time? Managing behaviour. It provides explanations and instructions for all the types of Circle Time strategies for junior, middle and upper primary including: Welcoming and Name Games, Rapport Building Games, Sentence Completions, Pair-Share, Sequencing Games, Stories, Pass Around the Circle Games, Mixing Games, Silent Statements, Imagination Games, Team Games. First published as Circle Time for Emotional Literacy, this new edition has been updated to reflect how the Circle Solutions philosophy and pedagogy can be used to build relationships and resilience for children and young people. Putting current research on wellbeing into practice, Circle Solutions addresses issues not incidents, solutions rather than problems, and strengths rather than deficits, providing a framework for student engagement and learning. Activities and games included in the book promote positive communication skills, empathy and connectedness, class cohesion and co-operation, friendship skills and ethical behaviour. Lots of easy to facilitate activities are provided to help primary school students learn about their feelings and the feelings of others. The book is full of lesson formats and activities that build interpersonal skills. Specific thesems include: belonging, perseverance, happiness, worry, anger, compassion and others. Students explore how their feelings influence their behaviours and their relationships. They listen and share, and learn how they are similar and different to others, not only on the outside, but the inside as well. they play games and learn how to manage a range of feelings, from joy and happiness to fear and anger. Circle Time for the Very Young has been used by teachers and practitioners alike for the last ten years! Now in its third edition, this book has been fully updated and includes a CD Rom to help you with Circle Time in your early years setting. Circle Time is used to help form positive relationships, increase confidence and self-esteem and provide a safe environment to explore feelings and opinions. All the activity and evaluation sheets can be printed from the new CD-Rom making it an ideal resource for those that want to use circle time but don\'t have time to plan the sessions. This book is easily used in any setting and is a must-have for busy practitioners. This is the same book packaged together with three sets of Circle Time Cards - Image, Feelings and Character. The full kit. The CD-Rom makes printing extra copies easy. The toolkit contains numbers 1-100, alphabet colour, maths symbols, measuring, story-telling, feelings, animal, shapes and behaviour. Strictly speaking this circular poster should be listed only under "Posters" but it's here as it's such a good reminder about the rules of Circle Time. Don't forget to check out all of the posters in our range. Circle Time is an ideal method for helping children to develop resilience in the classroom. This resource has 40 sessions on cards. These are easy to use and require minimal planning. They include; getting to know each other, trust building, self awareness, happiness, strengths, empathy, optimism, goal setting, coping, problem solving, decision making, managing emotions, help seeking and help giving. Presented in visual card format with an A4 sized chart. A child�s ability to successfully engage in a restorative approach develops in line with their ability to reason. The Visual Script has been developed as a modified version of the original Restorative Practice Conference Script. ◾Providing them a concrete aid to help them follow what may be an abstract process. ◾Providing the facilitator with language that is brief, clear and concise. Packed with wonderful illustrated stories and resources for use in the sessions busy teachers can literally pick up this manual and run with it! Restorative practice is a proven approach to discipline in schools that favours relationships over retribution, and has been shown to improve behaviour and enhance teaching and learning outcomes. However, in order for it to work, restorative practice needs a relational school culture. Implementing Restorative Practice in Schools explains what has to happen in a school in order for it to become truly restorative. Section 1 explains the potential of restorative practice in schools, describing the positive outcomes for students and teachers. It also outlines the measures that need to be in place in order to embed restorative practice. Section 2 examines the process of understanding and managing change, providing realistic and pragmatic guidance on the practical and emotional barriers that may be encountered. Finally, Section 3 provides in eight practical steps, strategic guidance for achieving a restorative culture that sticks. Proven to reduce bad behaviour and exclusions, and encourage happier, safer school environments, restorative justice is an effective approach to conflict resolution. Suitable for education settings from preschool to college, this guide explains what restorative justice is, how it can be used in schools, what it looks like in the classroom and how it can be implemented. Featuring case studies that illuminate the underlying restorative principles and practices, this book covers a wide range of topics from the basics of restorative justice, through to school-wide processes for embedding the approach in policy and practice. Drawing on the expertise of educators and consultants, this is a must-have resource for any school or centre that is serious about reducing bad behaviour and developing safer learning communities. Restorative justice is an innovative approach to thinking about, and addressing, conflict and bullying, as well as disruptive, challenging and criminal behaviour. The approach is increasingly used to transform the culture of organisations, institutions and services and the way people communicate with one another. In this book, ten practitioners describe a restorative encounter as seen through the lens of their own theoretical model. The book's unique structure is modelled on a restorative practice known as Circle Time- comprising of a Check-in, a Main Activity, and a Check-out. In the Check-in the practitioner explains how their own theoretical model informs their practice; in the Main Activity they comment on the same case studies to highlight how each theory can deepen our understanding of what might be happening and why; and in the Check-out they reflect on what they have learned from reading each other's contributions. This is a unique exemplar of how restorative theory and practice can influence how practitioners think, learn and write about restorative practice. Restorative circles are an effective way of implementing restorative justice, through starting a conversation wider than just the victim and the offender. Proven to be an effective way of healing and building relationships, tackling bullying within schools and providing a sense of community, this book gives everything needed for a school to start implementing restorative circles. Accompanied by illustrations, interviews and case studies to show how to start using restorative circles, this practical guide is the perfect introduction for schools looking to improve their methods of conflict resolution. 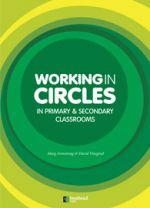 This manual covers: - The reasons benefits and methodology of using circles in classrooms; the ways they can be used; and many examples of circle sessions for both primary and secondary classrooms. Circles in schools can build and create a sense of belonging trust loyalty and community-mindedness. Using circles in classrooms as described in this manual can create democratic classrooms where real learning occurs in safe supportive spaces.